The wife of missing Interpol chief Meng Hongwei says she is “not sure if he is alive” following his disappearance while visiting China. Grace Meng said her husband was the victim of “political persecution” after he was vanished by the country’s authorities. Mr Hongwei has not been seen since 25 September when he left France, where he is based in Lyon, to see family back home. It has since been confirmed by Chinese authorities that he has been detained on suspicion of bribery. Interpol has received notice of his immediate resignation. During a BBC interview, she also said the couple’s young children were missing their father and that she herself had been threatened. It followed earlier revelations that her husband had sent her an emoji picture of a knife, signalling danger, in the couple’s last message exchange before his phone went silent. Mr Hongwei – who was appointed Interpol president in 2016 and who is also vice-minister for public security in China, his home country – is the latest high-profile target to be ensnared in the state’s sweeping anti-corruption campaign. The drive has targeted thousands of people, with government officials, billionaires and A-list celebrities among those who have been vanished this year. Earlier this month, Hollywood actor Fan Bingbing, who went missing in July, emerged with a public apology and a fine of 883 million yuan (£98m) for tax evasion and other offences. In its announcement of the investigation into Mr Hongwei, China’s public security ministry said the probe was “correct, wise and shows the determination of [president Xi Jinping’s] administration to continue its anti-corruption drive”. It added ominously that the official had brought “trouble upon himself”. Rumours that he has been targeted because of his links to other out-of-favour party figures were not addressed. 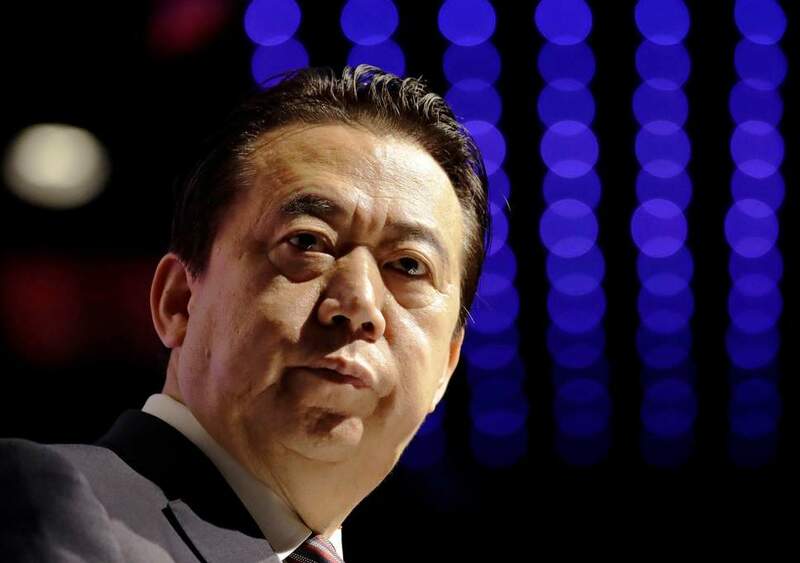 Interpol – a global policing agency – initially said the matter was one for authorities in France and China but has since asked Beijing to clarify Mr Hongwei’s position.